Swartz was born in Highland Park, Illinois (a suburb of Chicago), the eldest son of Jewish parents Susan and Robert Swartz. His father had founded the software firm Mark Williams Company. 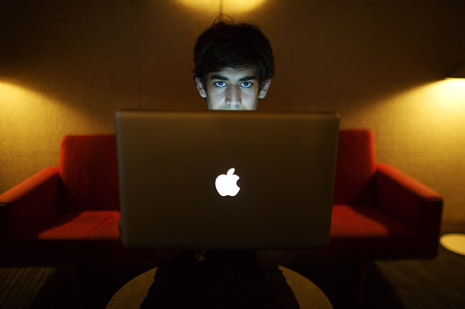 Swartz immersed himself in the study of computers, programming, the Internet, and Internet culture. He attended North Shore Country Day School, a small private school near Chicago, until 9th grade. 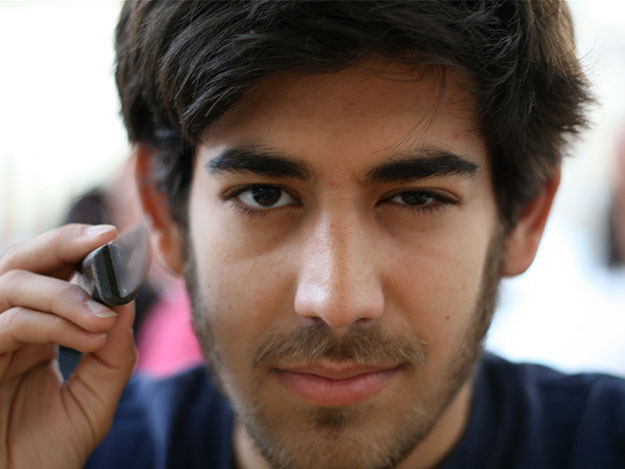 Swartz left high school in the 10th grade, and enrolled in courses at a Chicago area college. At age 13, Swartz won an ArsDigita Prize, given to young people who create “useful, educational, and collaborative” noncommercial websites.  At age 14, he became a member of the working group that authored the RSS 1.0 web syndication specification. Swartz attended Stanford University. During his freshman year, Swartz applied to Y Combinator’s very first Summer Founders Program proposing to work on a startup named Infogami designed as a flexible content management system to allow the creation of rich and visually interesting websites or a form of wiki for structured data. After working on Infogami with co-founder Simon Carstensen over the summer of 2005, Swartz’s opted not to return to Stanford, choosing instead to continue to develop and seek funding for Infogami. Infogami merged with Reddit in November 2005 to form a new firm Not A Bug. Although both projects initially struggled to gain traction, Reddit began to make large gains in popularity in 2005 and 2006. In October 2006 Not A Bug was acquired by Condé Nast Publications, the owner of Wired magazine. Swartz moved with his company to San Francisco to work on Wired. 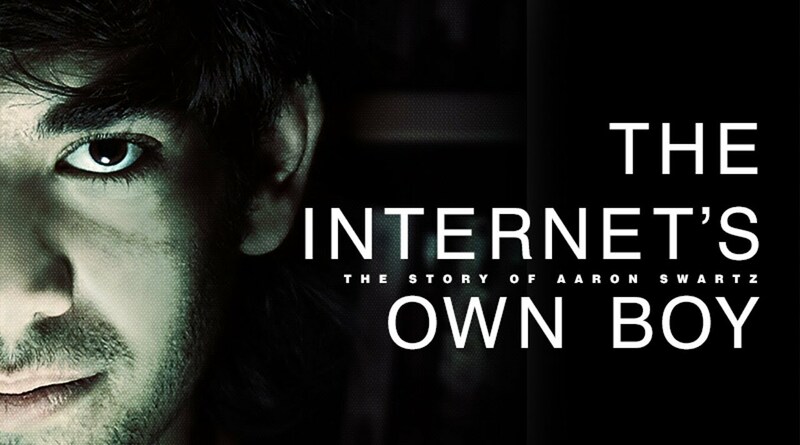 Swartz didn’t like the office life and he ultimately left the company. Swartz volunteered as an editor at Wikipedia, and in 2006, he ran unsuccessfully for the Wikimedia Foundation’s Board of Trustees. In 2008, Swartz downloaded about 2.7 million federal court documents stored in the PACER (Public Access to Court Electronic Records) database managed by the Administrative Office of the United States Courts. PACER was charging 8 cents per page for information. Swartz downloaded public court documents from the PACER system in an effort to make them available outside of the expensive service. The move drew the attention of the FBI, which ultimately decided not to press charges as the documents were, in fact, public.Swartz’s actions were subsequently investigated by the FBI. The case was closed after two months with no charges filed. One of his more notorious works that supports activism is Deaddrop, now renamed to SecureDrop, a platform for secure communication between journalists and sources whistle-blowers used at several news organizations, including The Intercept, The Guardian, and The Washington Post. 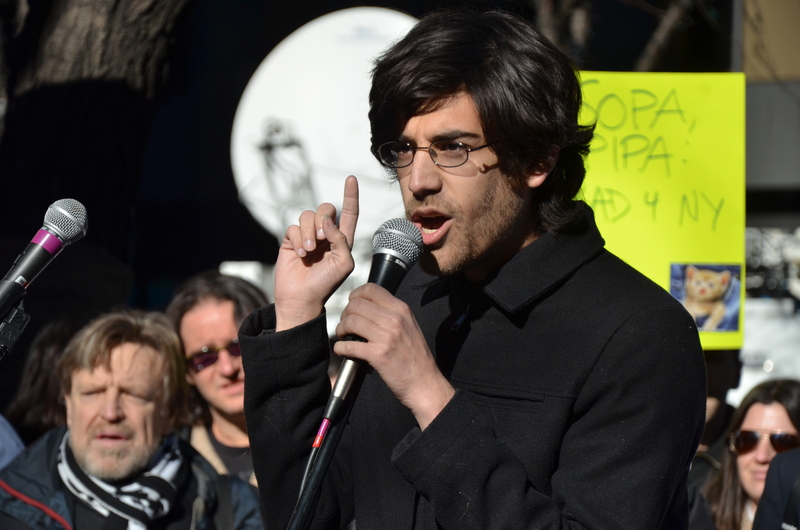 In 2010, Swartz co-founded Demand Progress, a political advocacy group that organizes people online to “take action by contacting Congress and other leaders, funding pressure tactics, and spreading the word” about civil liberties, government reform, and other issues. During 2011, Swartz conducted research studies on political corruption as a Lab Fellow in Harvard University’s Edmond J. Safra Research Lab on Institutional Corruption. 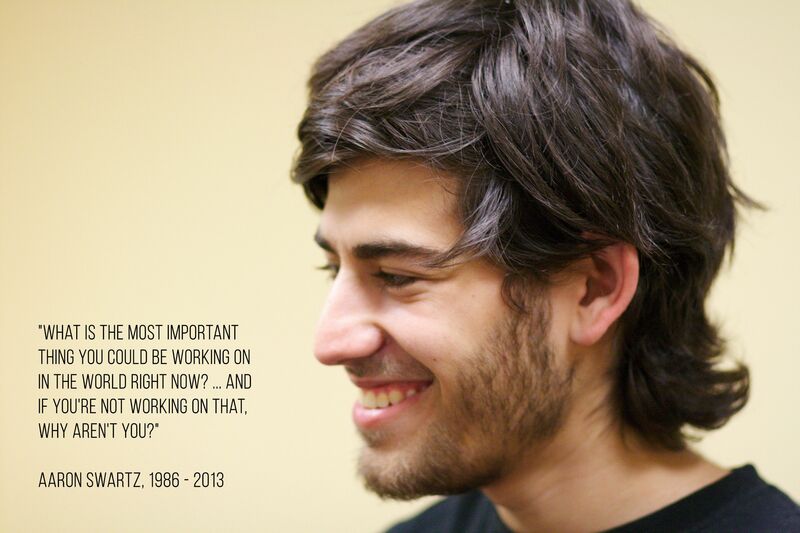 On the evening of January 11, 2013, Swartz was found dead in his Brooklyn apartment. A spokeswoman for New York’s Medical Examiner reported that he had hanged himself. No suicide note was found. Swartz funeral services were held on January 15, 2013, at Central Avenue Synagogue in Highland Park, Illinois. Tim Berners-Lee, co-creator of the World Wide Web, delivered a eulogy.